(i.e. G,c,f,a#,d',g' 6th to 1st, as if capoed at the 3rd fret). Scale length 540mm (21 1/4"). Overall length 868mm (34 1/8"). 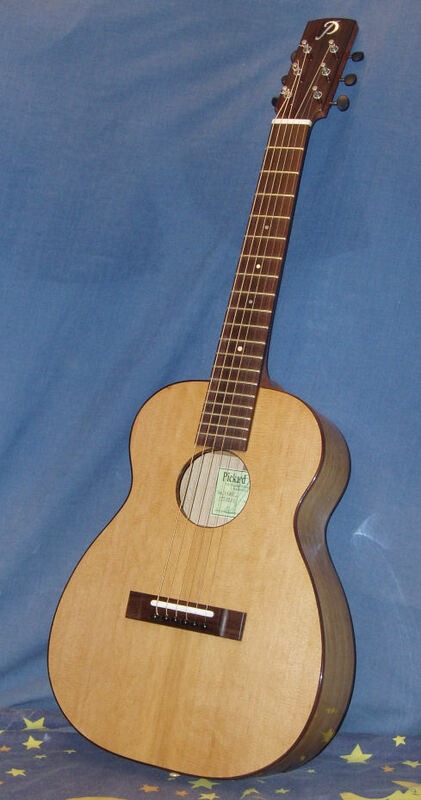 Ideally suitable as a travel guitar.